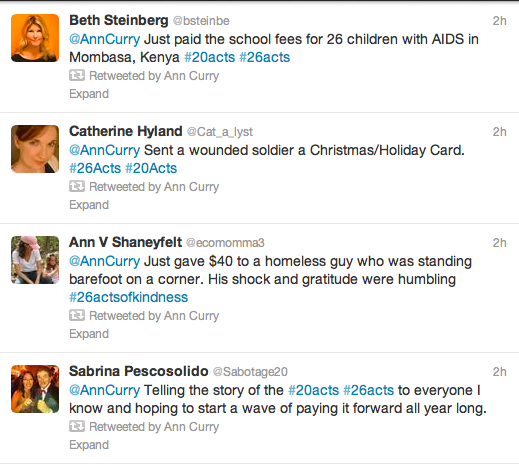 Some changed the hashtag to #26ActsOfKindness, some wanted to increase it to 27, and 28. All good. You are in charge of this wave now. We are curating some of the acts shared so far, as a way to inspire you, and maybe help heal us all. Fred Rogers once said that when he saw scary things in the news as a boy, his mother would say, "Look for the helpers. 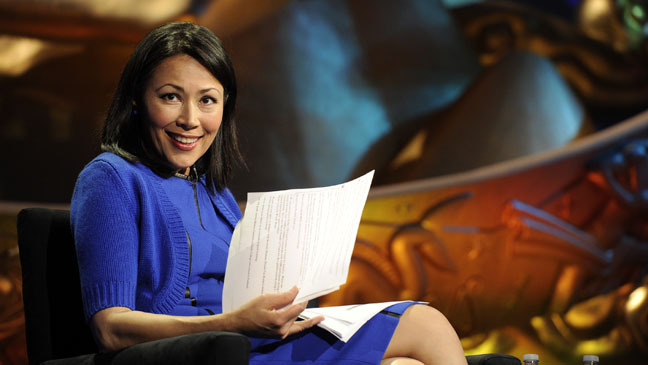 You will always find people who are helping." 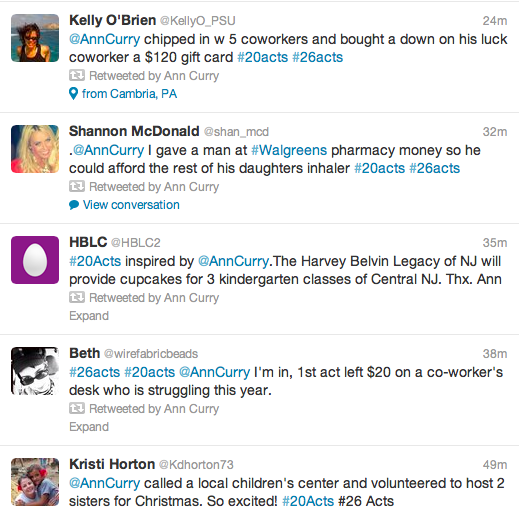 Below, find some of the helpers. 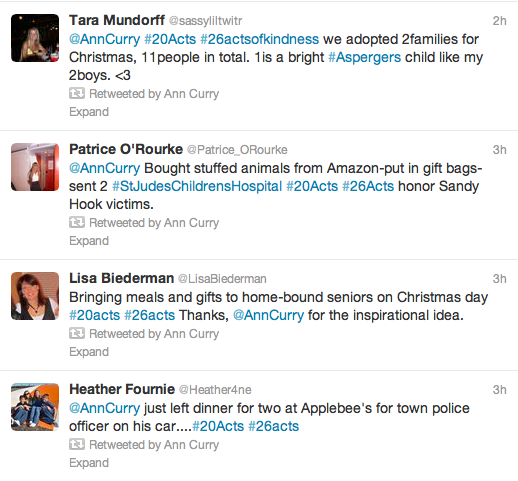 To view more #20Acts / #26Acts tweets, click here.